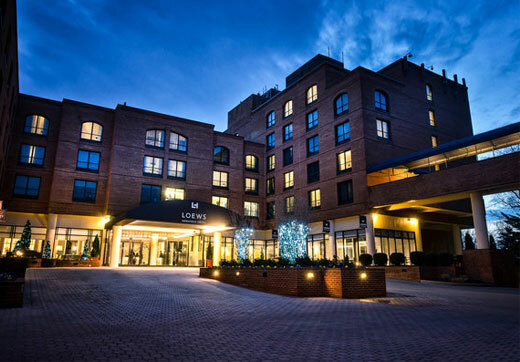 The Loews Annapolis Hotel offers guests sleek modern rooms and luxury amenities, while drawing inspiration from its historic seaport hometown. The hotel is located in the heart of Annapolis, steps from the Chesapeake Bay, Navy-Marine Corp Memorial Stadium, City Dock, and U.S. Naval Academy. It is also home to the BAROAK Cookhouse & Taproom, which serves fresh mussels and frites with a twist and a selection of international and local brews.